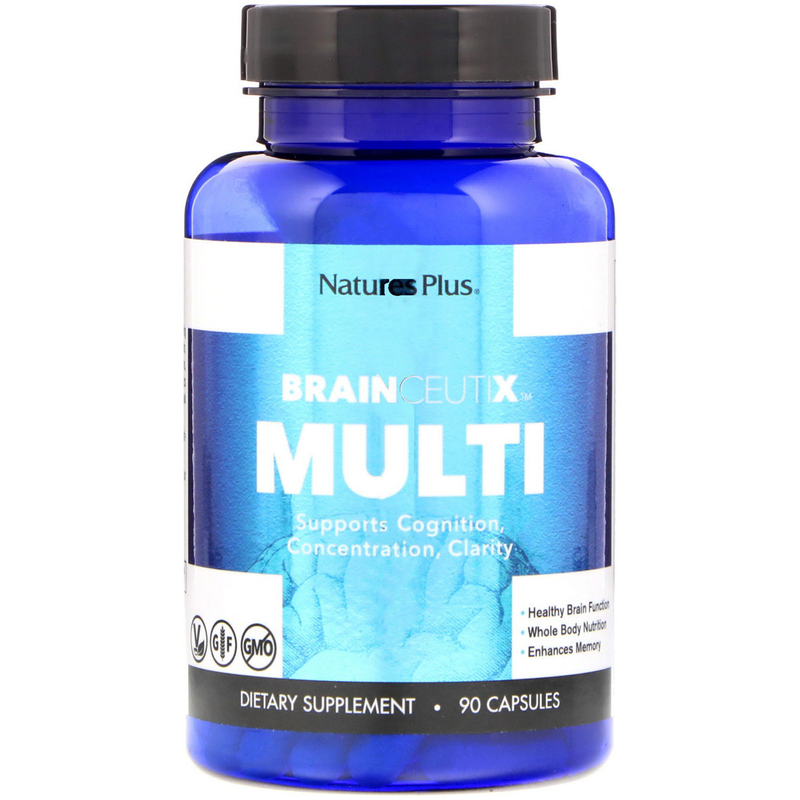 New BrainCeutix Multi by Nature's Plus delivers optimizing nutrition to invigorate healthy total mind-body function. BrainCeutix Multi is formulated with high potency vitamins, powerful phytonutrients and an array of natural nootropics (brain nutrients) so you can energetically perform at peak focus, memory and problem solving abilities. 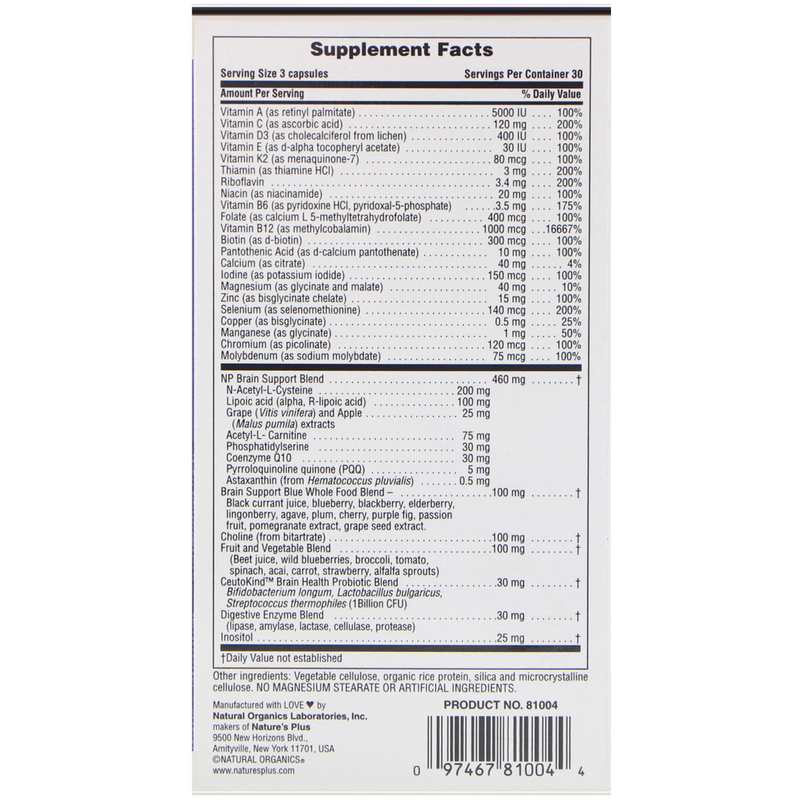 Acetyl-L-Carnitine (ALC) to support optimal brain cell membrane health. 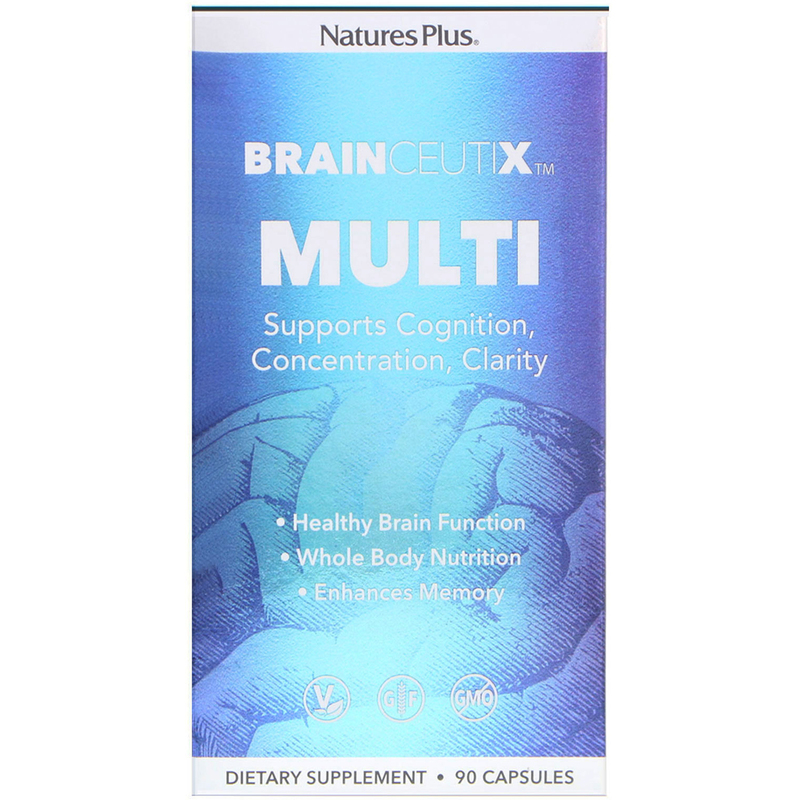 BrainCeutix Multi: the perfect balance of total mind-body nutritional support for vibrant health and invigorated wellness. While common supplements supply the basic nutrients for general health, BrainCeutix formulas are carefully crafted to deliver the best in cutting-edge, clinically documented, highly effective ingredients and are synergistically formulated to optimize brain function. Gluten-Free - Free from gluten of all sources, including wheat, barley and spelt. Vegetable cellulose, organic rice protein, silica and microcrystalline cellulose. No magnesium stearate or artificial ingredients.